But it was a genocide neither against, nor by, the actors cited in the ‘official’ narrative. Indeed, Rwanda circa 1994, is, in all likelihood, if not the, then certainly one of the greatest propaganda swindles of all time. This is the story of that swindle and of the scandalous truth that lies buried beneath it. Prior to the arrival of Europeans, Rwanda was a feudal kingdom ruled by a Tutsi minority over a Hutu majority. Following the Berlin Conference of 1885 Rwanda came under the suzerainty of Germany which was, itself, replaced as colonial overlord following WW1, by Belgium. Rwanda’s feudal order remained intact, however, until 1956 when the Belgians finally organized elections. Then, in November 1959, the Hutu majority overthrew the Tutsi monarchy. Many Tutsis fled, the majority ending up, significantly, in Uganda. It was from this perch in Uganda that the exiled Tutsi aristocracy launched, between 1960 and 1973, a series of violent attacks against the Rwandan regime. These were repulsed and for the next decade and a half Rwanda enjoyed a period of relative peace. It is worth noting at this juncture that, though much of the Tutsi aristocracy fled in 1960, those Tutsis who remained were well integrated into Rwandan society and body politic. Thus, both the government and army contained significant numbers of Tutsi personnel even through the height of the crisis in April 1994. In fact, the Rwandan Army (FAR) continued as a multi-ethnic organization even as it was forced to retreat into the forests of the Congo in July of 1994; this after having run out of ammunition due to a Western embargo on arms supplies – an embargo not applied to the RPF. Up until 1990 there was no further interference in Rwanda from Uganda. Nevertheless, by then the Tutsis exiles living there had become one of the main elements of the Ugandan Army. As such, when Museveni came to power – having been handpicked by the US and Britain to oust the socialist, Milton Obote – a third or more of his army consisted of Tutsis. Many of these held high office, including Paul Kagame. Kagame had been (and remains) an erstwhile client of Washington from well before he claimed to have ‘saved Rwanda from further genocide’ in 1994. Not only had he served as director of Ugandan military intelligence in the 1980s, but he had also received training at Fort Leavenworth, Kansas, and had been the beneficiary of constant US material and diplomatic support from the moment he assumed control of the RPF. Upon the collapse of the USSR in 1989/90 the US and the UK began a general militarist expansion which included the targeting of Yugoslavia and Rwanda; Yugoslavia as it was the last real bastion of working socialism in Europe, and Rwanda as it was a working model of socialist development in Africa. In addition, the US had turned against Mobutu (of Zaire, now the Democratic Republic of the Congo) as he was beginning to ally himself politically with China. The Rwandan president, Habyarimana, was subsequently approached by Washington to allow his country to be used as a staging ground for an attack on Zaire (to this day, a cornucopia of precious resources prized by the West). His refusal caused the US to look to other agents in furthering its strategic interests. They found the Tutsis in Uganda, ever thirsting for restoration of their hegemony in Rwanda. Furthermore, Museveni had begun to feel uneasy about the numbers of Tutsis in his ranks and was looking to be rid of them. The opportunity to satisfy these disparate desires soon came. On October 1, 1990 the self-styled Rwandan Patriotic Front (RPF) launched a surprise attack from Uganda. Though calling themselves a force of ‘liberation’ the offensive was a thinly disguised invasion by Uganda itself. Initially, the justification for the invasion put out by the RPF was that of attaining the right of return of Tutsi refugees. This claim, however, was belied by the fact that Rwanda had, under UN auspices, already agreed a few weeks earlier to the return of all Tutsis who wished to do so. That accord required Tutsi representatives to travel to Kigali to determine both the logistics of that population movement and their subsequent accommodation within Rwanda. The delegation was expected at the end of September, 1990. They never arrived. The attack killed tens of thousands of Rwandan civilians. These crimes, though well documented, have never been accounted for, nor did the UN or ‘international community’ ever seek to account for them. Indeed, there was not even a shred of condemnation of the Ugandan/RPF invasion, this despite the clamour raised only two months earlier with regard to the advance of Iraqi forces into Kuwait. In point of fact, the US and its allies supported the aggression against Rwanda and US Special Forces operated alongside the RPF from the beginning. This support notwithstanding, the small Rwandan army (with some help from a Congolese battalion) was eventually able to repel the invading forces. Following this attempt using a proxy force to overthrow the state, the United States brought political and economic pressure to bear upon Rwanda’s one-party socialist state (MRND). The President, Juvenal Habyarimana, instead of resisting, agreed to alter the constitution and in 1991 Rwanda became a multi-party democracy. Though the Rwandan government effected this as an offer of peace, what followed was anything but peace. Thus, rather than work towards reconciliation, the RPF turned from the tactics of open warfare to those of guerrilla terrorism. In 1992, and whilst RPF forces were busy planting mines, assassinating politicians and blaming it on the MRND, a coalition government was formed with the front parties of the RPF. These agents, with US backing, quickly seized control of key ministries and succeeded in appointing the Prime Minister. They also gained control of the intelligence services which they then began to dismantle. In essence, the ‘power sharing’ arrangement had largely given over control of the country to the very forces long bent on its destruction. The RPF itself, meanwhile, engaged in a ‘talk and fight’ strategy; always agreeing to a ceasefire, pressing for more power, then launching new attacks on the civilian population. The most egregious of these assaults was their breaking of the ceasefire and the launching of a major offensive in February of 1993. Seizing the town of Ruhengeri, RPF forces murdered some 40,000, mostly Hutu, civilians. Once again, the ‘international community’ remained dutifully silent. The Rwandan army, though hamstrung by the civilian ministries, managed to repulse the RPF attack. Finally, in August of 1993, the Arusha Accords were signed under pressure from the United States and its allies, and from which the RPF obtained major concessions. The Accords dictated the formation of a broad-based transition government to be followed by general elections. But for the RPF – as for the United States – there was a fatal fly in the electoral ointment. To wit, the RPF knew that they could not win such elections; this not only because they were unpopular with the majority (85%) Hutu population, but also because they had precious little support amongst many of Rwanda’s internal Tutsis whose lives and businesses they had destroyed. Rather than prepare for elections, the RPF prepared for something different. UN reports document the massive build-up of men and weapons coming in from Uganda during this period. In fact, the UN force (UNAMIR) supposedly deployed to ensure a peaceful transition acted, instead, as a cover for the US and its allies, i.e. Britain, Belgium, Canada, to assist the illegal build-up. General Romeo Dallaire, the Canadian general in charge of the UN force, hid this build-up not only from the Rwandan Army and the President, but also from his immediate superiors, Jacques-Roger Booh-Booh and UN Secretary General Boutros Ghali. These machinations were accompanied by death threats against Habyarimana, threats made all the more significant by the murder of the first Hutu president of neighbouring Burundi, Melchior Ndadaye, by Tutsi officers in October 1993. The triggering event in the ‘Rwandan genocide’ of 1994 is generally agreed to be the shooting down, on April 6, 1994, of the plane carrying Juvenal Habyarimana, the Hutu president of Rwanda, and Cyprien Ntaryamira, the Hutu president of Burundi. The official story has it that unidentified ‘Hutu rebels’ were the villains who targeted their own countrymen in some vague attempt to gain power. No evidence was ever adduced in support of this threadbare thesis, but in any case, even if so, the official villains failed spectacularly in their objectives as the country quickly fell to invading Tutsi forces leaving a small minority (Tutsi) population to rise like the Phoenix to its former position of national privilege and oligarchical control. No one in the Western mainstream media has ever commented on the exceeding peculiarity of this bizarre turn of events, never witnessed before, in which the supposed victims of a genocide end up as the victors of the conflict. The paradox is soon resolved, however, if we countenance the much more likely scenario that the decapitation of the state leadership was the first stage in a final offensive of a war started four years earlier. That the assassination was part of an RPF coup d’etat is given further support by the fact that a 30,000 man RPF force was already marching against Kigali hours before the plane was destroyed, and that RPF forces inside Kigali were attacking government positions within hours of the shootdown. The Western audience, naturally, was, and has never since, been informed of these rather pertinent contextual facts surrounding the events of April 6, 1994. To boot, the official response to Habyarimana’s assassination was and has remained one of determined indifference; a strange thing given that it involved the highest official in the land. Even stranger given that, and according to virtually every independent expert on the subject, the ‘genocide of 1994’ simply would not have happened had Habyarimana not been assassinated. Nevertheless, though all the circumstantial evidence points towards the assassination being part and parcel of a US-backed RPF coup d’etat against the government of Rwanda, it would yet be helpful if there was direct evidence implicating RPF forces in the murder. There is. As in one of those classic ‘B movie’ plot twists where the bad guys inadvertently hire a good guy who turns the table on his benefactors, so too did the lead official of the International Criminal Tribunal for Rwanda (ICTR) hire an investigator into the crash who turned out to be an honest man. Reporting back to Chief Prosecutor Louise Arbour in 1996/97, Australian lawyer, Michael Hourigan, found evidence directly linking the RPF (and the CIA) to the assassination. Far from pleasing Arbour, however, Hourigan’s diligence was rewarded with censure. According to Hourigan, Arbour became “aggressive” and “hostile” when informed of his findings. What Hourigan didn’t know at the time is that Arbour, after having launched the investigation, had been directed by US Secretary of State Madeleine Albright (who had handpicked her for the job) to quash the inquiry. And so she did. Arbour would later (again under the aegis of Albright) be promoted to Canadian Supreme Court Justice and thence as UN High Commissioner for Human Rights. What’s more, not only have other French – and Spanish – legal officials since confirmed Bruguiere’s findings, but many highly placed members of the RPF have stepped forward publicly to implicate Kagame and the RPF in the assassination. All have suffered the same fate of official international silence and suppression, and some of the latter have suffered assassination themselves. This culture of suppression and official silence has also plagued the ICTR from its inception. In particular, it became the explicit policy of the ICTR to forcibly limit its mandate solely to the investigation of ‘genocidal intent’ by Hutu government figures, i.e. without any reference whatsoever either to the political context of the conflict or to the mounting evidence implicating the RPF as invaders and genocidaires. In short, the ICTR, much like its sister tribunal, the International Criminal Court for the Former Yugoslavia (ICTY), proved itself from the outset to be little more than a Washington-sponsored kangaroo court. This transparently politicized policy has continued apace throughout the trials. When, for instance, the more independently-minded Carla Del Ponte replaced the pliable Louise Arbour, she was quickly terminated as Chief Prosecutor after calling for a ‘Special Investigation’ into the actions of the RPF; this despite making a case for such an investigation with then UN Secretary-General Kofi Anan. Of course, Anan’s refusal to look into the crimes of the RPF should come as no surprise as it was he who, a) was head of the peacekeeping operations in 1994, and is thus implicated in the events, and b) was handpicked by the US to replace his predecessor, Boutros-Ghali. Boutros-Ghali, It might be remembered, had come uncomfortably close to scuttling the entire US/RPF invasion scenario when, in May of 1994, he acceded to a request by the Rwandan government to send 5500 UN troops to Rwanda to reinforce the 2500 already stationed there; this so as to stabilize the country at a time when reports of growing ‘chaos’ were issuing forth daily in the world press. These efforts were, however, categorically thwarted by the Clinton regime which used its influence to remove the proposal from the UN agenda. Instead, the UN troops already stationed there, far from being reinforced, were withdrawn. Later, Boutros-Ghali, in conversation with Rwandan expert Robin Philpot, would expand on these matters declaring that, “The genocide in Rwanda was 100% the responsibility of the Americans!” Hardly any wonder, then, that in 1996 US Ambassador to the UN, the ubiquitous Madeleine Albright, would veto his re-election making Boutros-Ghali the only UN Secretary General in history not to be granted a second term in office. Now, I remind the reader that the killings detailed here were being perpetrated not, as in the official narrative, i.e. by Rwandan government troops, but by the supposed saviours of the country, i.e. the RPF. Though much evidence surfaced early on that the official genocide narrative was in sharp disagreement with reality, all later independent reports have continued to corroborate this finding. In a 2004 paper, for instance (and reinforced in a more recent 2009 report), US academics Christian Davenport and Allan Stam concluded that, of the many hundreds of thousands of deaths (possibly as high as two million) that occurred in Rwanda from April through July of 1994, the “majority of victims [at least two thirds] were likely Hutu and not Tutsi”. Noteworthy is the fact that Davenport and Stam were initially sponsored by the ICTR – that is until their findings contradicted the official narrative whence they were sent packing. Still, Davenport and Stam have refrained from taking the implication of their own research to its logical conclusion, i.e. that Kagame’s forces were the only agents responsible for committing “systematic” killings in the areas they overran, or that such systemic violence was part of a pre-existing plan by the US-backed RPF to invade and overthrow the legitimate government, the latter in order to install a formerly privileged minority – and Western comprador elite – to power within Rwanda. If the academics have been content to sit on the fence, not so one of the more famous lay figures of the Rwandan debacle. It is ironic in the extreme that Paul Rusesabagina, the real-life hero of the movie Hotel Rwanda – a film unashamedly promoting the official narrative – has himself, in numerous interviews, completely gainsaid that narrative. He has, thus, repeatedly denounced the RPF as the real genocidaires, and has called a Kagame a “war criminal” and “dictator” who is responsible for mass killings not only during the takeover of Rwanda in July 1994, but ever since both in Rwanda and in his US-backed incursions into the Congo. Indeed, so fervent have the denunciations been that Rusesabagina is now officially listed as a ‘terrorist’ and ‘genocide denier’ (a prisonable offence in Rwanda) by the Kagame regime. No matter, the movie continues to circulate, sans critique; Rusesabagina’s views and denunciations, do not. It is something of an embarrassment to the US architects of the ICTR that the tribunal, though explicitly tasked with indicting only members of the Hutu government, have failed singularly in successfully prosecuting any of them. Not only have the most senior members of the MRND – through the spirited efforts of the various defense teams – been acquitted, but the mass of evidence so assembled has stood the entire official narrative on its head, and has implicated, au contraire, the RPF – and its foreign accomplices – in the genocide. There was, however, one highly publicized piece of evidence proffered at the tribunal by prosecutors as they sought to prove a ‘planned genocide’ by the MRND government. This was the so-called ‘genocide fax’ allegedly sent to the New York UN headquarters on the night of January 10th, 1994. That this was the only piece of documentary evidence claiming direct planning of a genocide put forward in the trial is, itself, telling. Had there actually been such a plan (by the MRND), the logistics would have left a paper and/or electronic trail a mile wide. Instead, there are no orders, minutes of meetings, notes, cables, faxes, radio intercepts or any other type of documentation indicating that such a plan ever existed. And then, of course, there are the actual events on the ground which, as we have seen (and shall see further), suggest nothing of the sort. Nonetheless, there is the lone sepulchre of the ‘genocide fax’. What to make of it? To make a long story short, the fax is a forgery. There was a fax sent to the UN headquarters on January 10th, 1994 (a copy of a cable sent by Romeo Dallaire to another Canadian, General Baril), but this was not the fax that was entered into evidence in the Military II trial (ICTR vs Ndindiliyimana) in October, 2005. Ndindiliyimana’s defense counsel was able to definitively establish that the original fax dealt only with ‘weapons caches and seeking protection for an informant’, whereas the fax subsequently entered as evidence, having first had time stamps, dates and paragraphs altered, had mysteriously sprouted an addendum about government plans to kill Tutsis and Belgian soldiers. Conflicting testimony both between Dallaire’s earlier and later statements, and between statements made by Dallaire and Lt. Col. Claeys (a Belgian officer who claims to be one of the authors of the original cable), further proved the document’s inauthenticity. Such was only reinforced when Dallaire’s immediate superior, Jacques Roger Booh-Booh, stated that he had never seen nor heard of the fax or any of its alleged inflammatory contents. Eventually, the ‘genocide fax’ was simply withdrawn as evidence by the court. Puff! One might wonder, then, why tens of thousands of MRND personnel are today still in prison, this whilst not one RPF figure has even been indicted. But so it is. Now, what this letter seems to indicate is that the attack on Rwanda (from 1990 onward) was not the prime objective of Kagame and crew after all, but was, rather, merely the gateway to an attack on Zaire/Congo. The significance of the latter became apparent when, on November 1, 1996, the aforementioned Goma was, in fact, attacked and taken by the RPA (the re-named RPF) along with Burundian and Ugandan forces. This assault was heavily backed by the United States and eyewitness accounts tell of large American cargo planes filled with arms landing in Kigali in the last two weeks of October, 1996. The taking of Goma was, it is pertinent to note, the prelude to the ensuing genocidal carnage that has overtaken the Democratic Republic of the Congo ever since. To properly understand this last statement we need to backtrack a bit to April 6, 1994, and look at the events that unfolded immediately following the assassination of Habyarimana. The effect of one million people flooding into a small city that itself was under bombardment caused mayhem and panic. To make matters worse, the RPF used this flood of people to infiltrate its men behind FAR lines. This heightened to fever pitch the panic amongst the Hutu population who then began killing anyone they did not recognize. The late Dr. Alison Des Forges (a noted expert on Rwanda), in her testimony before the Military II trial at the ICTR in 2006 stated that the RPF claim that they attacked to stop a ‘genocide’ was a myth; just propaganda to justify their attempt to seize power by force of arms. She also testified that the Rwandan government did not plan and execute genocide. This accords with the (early) testimony of Romeo Dallaire who confirmed that there was no planned genocide by the MRND. In addition, the deputy head of Belgian Army intelligence, Col. Vincent, similarly testified that the idea of an MRND-backed genocide was a complete fantasy. The fighting in Kigali was intense. UN officers – confirming testimony made by FAR and RPF officers before the ICTR – state that the RPF was launching hundreds of Katyusha rockets every hour around the clock whilst the Rwandan Army ran out of grenades in the first few days and were reduced to fighting with hand-made explosives. Nevertheless, the siege of Kigali lasted three months and only ended when the Rwandan Army literally ran out of all ammunition and thence ordered a general retreat into the forests of the Congo. Operating, then, under the Orwellian pretext of ‘hunting for genocidaires’, Kagame & Co. conducted a decade long invasion/occupation of Zaire/Congo. The overall strategic thrust of this assault was threefold. First, it was an attack on French interests in Africa, interests that were immediately taken over by the United States. Second, the assault was part and parcel of the overthrow of Mobutu (toppled in May of 1997). Ultimately, however, the capture of the Congo was about booty. As such, this single treasure chest contains not only large deposits of diamonds, gold, copper, uranium and tantalum (used in computers and cell phones), but also much of the world’s reserves of chrome, platinum and cobalt. To the question then, ‘Whose genocides were they?’, the answer yet resounds through the din of propaganda, ‘They were ours’. 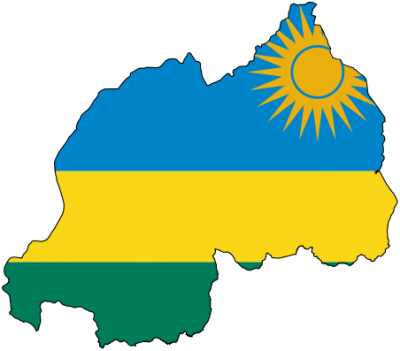 In assessing responsibility for the tragedy of Rwanda – and the ensuing events in Zaire/Congo – we must not stop at those already indicted in this essay. For none of this could have happened without the overt complicity of numerous ‘humanitarian’ NGOs including especially, Human Rights Watch, which, in the early days prior to the RPF’s final solution, headed up a totally bogus, unsubstantiated report (issued March 6, 1993) condemning (and so de-legitimizing in advance) the Rwandan government for a ‘genocide’ that, in fact, had yet to take place – and which would, in the event, be committed by the very agents it conspired to defend, i.e. the RPF. And, naturally, none of this could have happened without the willing complicity of the Western mass media who swallowed hook, line and sinker every piece of propaganda issued by the Clinton Administration. As Canadians we are more than ordinarily complicit as it was the Canadian government (under Jean Chretien) that worked hand-in-glove with the Americans throughout this period. In particular, of course, three Canadians, Louise Arbour, General Maurice Baril and General Romeo Dallaire played leading roles in the ‘affair’. For services rendered they were, all three, handsomely rewarded: Arbour, as already mentioned, with promotion as Supreme Court Justice and thence as UN High Commissioner for Human Rights; Baril with promotion to Chief of Staff of the Canadian Armed Forces (in Sept. 1997), and Dallaire with appointment as Canadian Senator for life. Of the three, however, Dallaire’s role is particularly noteworthy, for it is he who has, ever since, been portrayed, and portrayed himself, as a hero in the Rwandan tragedy; and who has, as such, been pre-eminently involved in spreading and maintaining the Big Lie with respect to it. Dallaire’s 2003 epic, Shake Hands With the Devil, an ironically named Faustian tract, fails spectacularly to elucidate the author’s otherwise well documented actions during the events. It is well established, for instance, that Dallaire knew of – and, effectively, facilitated – the build-up of RPF forces inside Kigali prior to Habyarimana’s assassination. It is well established that Dallaire, rather than reporting to and receiving orders from the UN, as was his mandate, was, instead, reporting and receiving instructions from American military commanders. It is also a fact that Dallaire, only two months prior to the assassination of Habyarimana, closed down one of the only two runways into Kigali airport – upon request of the RPF. It is also the case that Dallaire covered up the massacre by the RPF of MRND people elected in by-elections in the north of Rwanda in November, 1993. Evidence presented at the ICTR further implicates Dallaire in supplying intelligence to Kagame and the RPF forces throughout the period leading up to April 6, 1994. How did the lady prime minister, Agathe Uwilingiyimana, come to be murdered at the UN development compound (the morning after Habyarimana had been assassinated) just a short time after he, Dallaire, arrived there? Why did he do nothing to save the lives of the Belgian UN soldiers – suspected of being the team that shot down Habyarimana’s plane – who were subsequently killed at Camp Kigali? Why, and under whose command, did Belgian army units in certain strategic positions in Kigali abandon them and all their weapons to the RPF? Why did UN army units attack MRND army units, but never the RPF? Why did he fail to report that US forces, using Hercules C-130 aircraft, were supplying men and weapons to the RPF? Why, when Dallaire had his headquarters at Amahoro stadium in Kigali after April 6 through the rest of the month, did he allow RPF forces to enter and subsequently murder Hutu refugees who had fled there for safety? And, of course, why did he lie about the ‘genocide fax’ of January 11, 1994? In the two decades that have elapsed since the overthrow of the Rwandan government – and the subsequent killing of millions of it’s peoples, and those millions more killed in the Congo – the Big Lie has flourished virtually unabated. Though the likes of Robin Philpot (‘Rwanda and the New Scramble for Africa’), and Ed Herman and David Peters (‘The Politics of Genocide’) have, of late, lent this revised narrative a slightly higher profile, more generally – and notably amongst the Left – the ‘official’ narrative of Rwanda circa 1994 continues to hold sway. So much so that Rwanda has become, in Philpot’s resonant phrasing, “a useful imperial fiction”, i.e. a shining example of the ‘need for intervention’ that is deployed whenever and wherever ‘humanitarian imperialism’ seeks to invade and destroy nations opposed to it. It need not be so. At the very least amongst the Left, it should never have been so. In the early days of the Rwandan debacle, one anomalous event stands out like the proverbial sore thumb transparently pointing the way to what was really ‘going down’ in the beleaguered nation. That event was the majority withdrawal in May of 1994 of the UN troops stationed in Rwanda, i.e. essentially clearing the way for the unobstructed overthrow of the government. This one item alone, irrespective of the fact that the corporate media habitually lies about virtually all matters of significant political import, should have tipped off observers of the Great Game to the idea that something rotten was taking place in the state of Rwanda. But it didn’t. And that, given what subsequently transpired in Yugoslavia and later Libya – where again, significant sectors of the Left bought into the official narrative – and given what is today transpiring in Syria and Ukraine, is problematic. If there is one lesson, then, that we can take from the tragic events adumbrated herein – and, though hardly new, is a notion that bears vigorously reinforcing – it is that whatever information is fed us by the state and by the corporate mass media with regard to fundamental global strategic happenings, the only historically consistent and logical stance to take is to assume that the truth lies 180 degrees in the opposite direction. This should be our default position, until proof is rendered otherwise, in every instance. The US Army’s elite, commander general staff college devoted to the high-level planning of invasion scenarios. This despite Museveni never having held an election from the time he shot his way into power in the mid 80s up to the present day. Ndadaye had won the country’s first free elections, and in the aftermath of his murder, 250,000 Hutus were massacred by the Tutsi army of Burundi, and hundreds of thousands fled to Rwanda. One of these is Abdul Ruzibiza, former comrade-in-arms of Kagame and lieutenant in the RPF. After defecting he published a book in French (2005) accusing the RPF of having committed systematic massacres. In addition, defections from the present regime include, amongst many former high-level government figures, two former Prime Ministers, Faustin Twagiramungu and Pierre Celestin Rwigema. Assassinations by RPF agents of opponents to the regime have been many. Of note, however, two priests from Quebec, Claude Simard and Guy Pinard, were murdered Oct. 94 and Feb. 97 respectively. In addition, and rather chillingly, it is a matter of public record that a very long ‘hit list’ targeting opponents is, to this very day, sponsored by the Kagame regime. Unlike the famous Nuremberg tribunal, the ICTR omits any reference to wars of aggression or foreign intervention (the ‘supreme international crime’ according to Nuremberg), and so, effectively, condones them. Moreover, the refusal to consider who instigated the war essentially runs cover for the instigators. More fully, “The genocide in Rwanda was 100% the responsibility of the Americans….The United States, with the energetic support of Great Britain, did everything they could to prevent the UN from sending troops to Rwanda to stop the fighting. And they succeeded”. The exact numbers have never been definitively established. Initial reports claiming 800,000 were mostly pulled out of a hat. Still, later research (including testimony before the ICTR from former RPF officers themselves) seem to indicate that in the months following Habyarimana’s assassination, the numbers were, at the least, in the many hundreds of thousands, and possibly as high as two million. Hundreds of thousands of Hutus were also forced back to Rwanda at gunpoint starting in November of 1996, and hundreds of thousands more (possibly more than a million) were subsequently pursued and killed in the forests of the Congo. The Congolese themselves, of course, have suffered many millions (i.e. 5 to 10) killed in the US-backed RPF/Ugandan invasion and plundering of the east of the country since 1996. Evidence of this can be witnessed in the bilateral agreement that Rwanda, under Kagame, signed with the United States in 2003, giving each other immunity from prosecution; the former before the ICTR, and the latter before the International Criminal Court. Rwanda was also the only African country to back the US invasion of Iraq that same year. Moreover, much of the plunder of the Congo has since been funneled to the West through Kigali. That is, no government minister or military officer has, of the time of writing, been convicted of conspiracy to commit genocide. Of the 60 or so high-ranking members of the government that have been indicted, roughly a dozen have been acquitted, whilst the rest remain – twenty years after the event – on trial. Ordinary Hutu prisoners have been, through various legally illegitimate means, i.e. duress, threat, deception etc, induced to plead guilty. But again, no convictions bearing on the crime of ‘genocide’ has ever taken place. Moreover, the full extent of the criminality of the court setup and proceedings at the ICTR (even to the extent of assassinations of witnesses under UN custody) is worthy of an essay in and of itself. Indeed, the latter can be had (by contacting the author) vis a vis a paper, currently in manuscript, by ICTR defense lawyer Christopher C. Black (the ‘Rhodes Address’), and soon to be delivered in Rhodes, Greece. The case of the ‘genocide fax’ occupies a particularly important place in the ‘official’ narrative in as much as this was the only purported document, skimpy as it was, testifying to some measure of MRND conspiracy to a planned genocide. So important to the official storyline, in fact, that the ‘fax’ continues – despite having been exposed as a forgery before the ICTR – to be trotted out and adduced as ‘evidence’ to this very day. Specifically, ‘The ICTR vs General Augustin Ndindiliyimana’. Christopher C. Black was the lead defense counsel for Ndindiliyimana, the latter, having occupied the role of Chief of Staff of the Rwandan Gendamerie during the period in question. Ndindiliyimana was, just recently, acquitted of all charges at the ICTR. It was proved that this fake fax was put in UN files (to replace the original fax) by British Army Colonel, R.M. Connaughton, on November 28, 1995. Though special ‘commendation’ should go to Philip Gourevitch of the New Yorker, who was instrumental in propagandizing on behalf of the Clinton Administration and the RPF. Gourevitch was also the brother-in-law of Jamie Rubin, the right-hand man of, then, US Secretary of State, Madeleine Albright. Dallaire published his book three years after another Canadian author, Carol Off, published her hagiography (‘The Lion, The Fox and The Eagle’) on Dallaire, Arbour and Lewis Mackenzie. Both Dallaire and Off, it turns out, relied on the same ghostwriter / researcher, Sian Cansfield, whence the existence of passages of the first volume lifted straight into the second. Both belong on the fiction list. More accurately, one of the two axes of the one runway was closed.